Embark with your teammates on a persistent campaign that will span several weeks of real time to liberate all the major cities of the island. Never lose your progress with the built-in server-side save system. 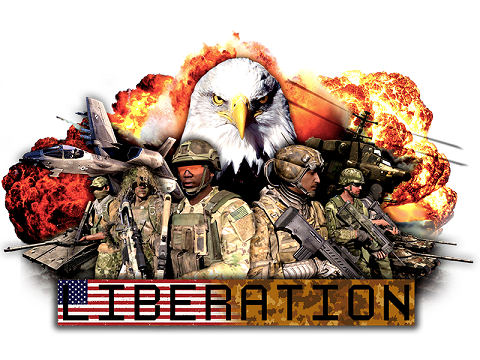 This is a Version of Liberation converted to the IFA3 Mod. You have to re-capture Poland from the Soviets! Therefor you have to establish FOBs, recruit Soldiers, capture Facilities to gain resources to supply your Troops and much much more. We've been trying to add a full zeus alongside the "commander zues-lite" in Liberation:1944 -- it seems that the slot only works (the way it's currently configured in client.ini) with both -autoinit and -loadMissiontoMemory removed from the server commandline. I'm barely versed in this stuff, but I'm guessing that has something to do with the pre-initialization that would occur on the server with one or both of those arguments added that must bypass/bork the client.ini. Okay, so I get that, and I'm not happy about leaving out the two arguments (the latter in particular). Trade-off is that the zeus becomes tied to game logic rather than a side (which means you don't get teamkill messages when remoting an AI unit), so it's something I'd like to leave in the client.ini. But there's another hang-up... it only seems to work for the first person to join the zeus. Once someone has been in the slot, the next guy in doesn't get the zeus interface. That didn't happen (I don't think at least... haven't reverted back to test) with the old setup. Restarting either the mission or the server seems to fix this. Anyone know why a slot would act differently on a second join than it did on the first -- and why the zeus would work differently?